I read The Naturals over a year ago and I’m ready to continue the story! If I actually follow this list, I’ll be reading a lot of Jennifer Lynn Barnes! I got this one for my birthday and still need to read it. I’ve been moderately interested in this one thanks to the positive reviews, but now that it’s my next book club read, I’ll be reading it soon for sure! I want to read this one for the hype. And it definitely looked really interesting when I saw it in person, especially underneath that dust jacket! I’m intrigued! For a while I had no interest in this one, but now I do! I asked for it for Christmas, and as previously mentioned, I’d like to read something by Schwab before I see her! I’ve been meaning to read this one for ages, and now that I own it I fully intend to do so sooner rather than later! What’s on your winter TBR? I don’t typically go for YA books unless someone specifically recommends something to me, but with it being Star Wars I picked up Lost Stars by Claudia Gray. There was a little bit more sexual content than I was expecting, but overall story and writing style was pretty decent. Main story starts around A New Hope and finishes about a year after Endor. With the content caveat, it’s definitely worth a read. I’ve heard of other books by Claudia Gray but not the Star Wars one; interesting. I know YA author Alexandra Bracken did A New Hope retelling but haven’t read it either. It definitely looks very unique! If I get it for Christmas it’ll probably be one of my first reads of 2016! Definitely. You must read it! No winter TBR list?! Oh my. I actually had to go check and make sure! If I’d have realized that, I probably would’ve rebelled this week too as those are my favorite TTT lists to put together. 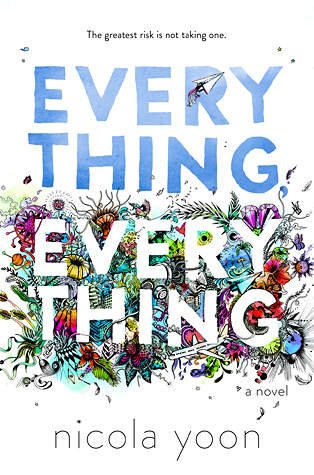 Other than Percy Jackson, the only book I’ve read from your list so far is “Everything, Everything.” Contemporary YA is not my usual cup of tea, but I checked in an almost-brand-new copy at the library and decided on a whim to bring it home with me. 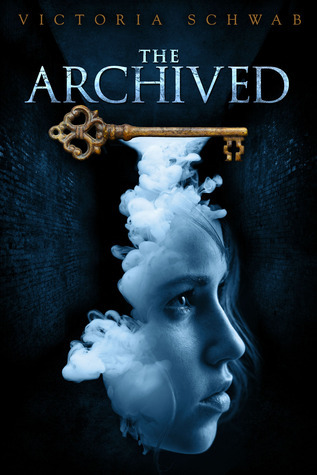 I read the entire thing in one afternoon, and I was pleasantly surprised as I usually go into super-hyped YA books with the subconscious intention of picking them to pieces (I probably need to work on that). Anyway, I thought it was pretty good and I hope you enjoy it! I’m planning to read “Vicious” this winter too. 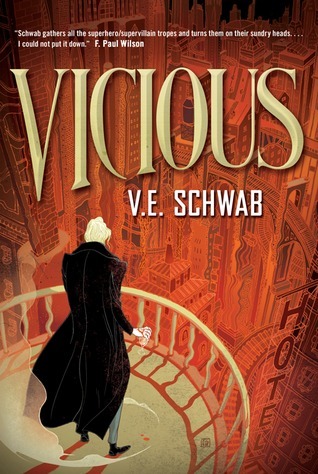 I liked “A Darker Shade of Magic,” but “Vicious” seems to be everyone’s favorite Schwab book. I know, it is crazy! Maybe you can rebel next year! 😉 Glad to hear you enjoyed Everything, Everything. I’m not big on YA contemporary in general, but I have been reading more of it this year. And by next year I meant next week, which isn’t quite next year yet! I’ve never paid much attention to The Naturals, but now that I’ve seen those covers, I need to read them. I’m powerless against a clever design. And I applaud your rule-breaking. Bon courage! 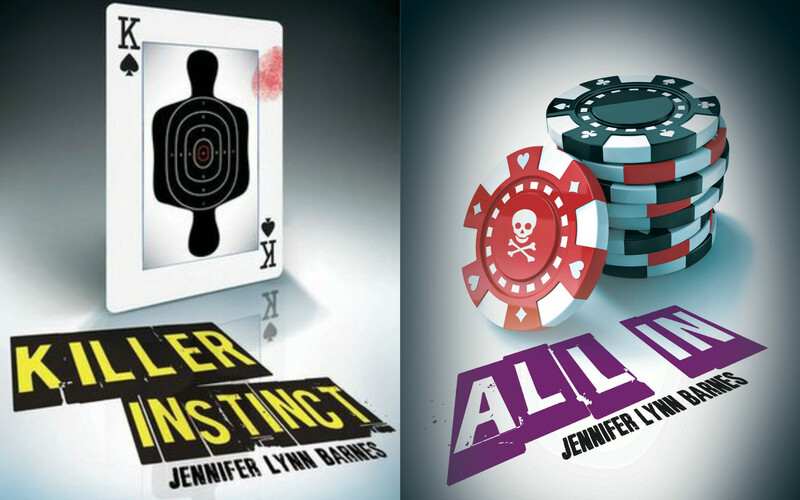 The covers definitely give off a crime-thriller feel, in a fun way, if that makes sense! Everything Everything by Nicola Yoon is a great book! I hope you get it, and love it too! I didn’t ask for it for Christmas since I can get it from the library, but I definitely plan to read it and hope to enjoy it! Great list. I loved Vicious. I hope you get a chance to read all of these! Everyone seems to love Vicious, so I definitely hope to as well! Ha ha!! Aren’t all lefties rebels? Ignore my “lefties” comment. LOL. Wow, I haven’t read any of these, and they all look fantastic! I need to step up my reading game. Right now I’m in the middle of the Lunar Chronicles series by Marissa Meyer, but I have “The Wrath and the Dawn” and “An Ember in the Ashes” cued up next. I read The Wrath and the Dawn a few months ago and liked it! It started off a little slow for me, but I got into it, and the writing is gorgeous! I really need to continue The Naturals series too. Everything Everything was amazing. I was one of the few people who didn’t love Illuminae. 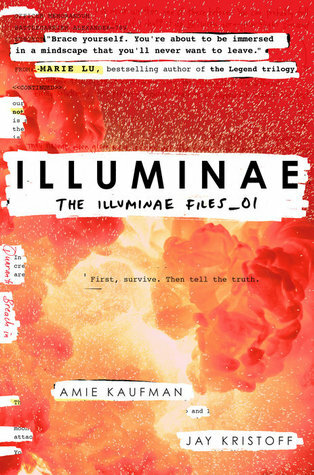 AHHH YOU HAVE TO GET TO ILLUMINAE. I just read it and finished it last night past midnight (yes, it was THAT GOOD). It’s definitely one that you won’t be able to put down! I got it for Christmas and I plan to read it pretty soon, probably in the next month! I’m looking forward to it! Vicious is AMAZING. 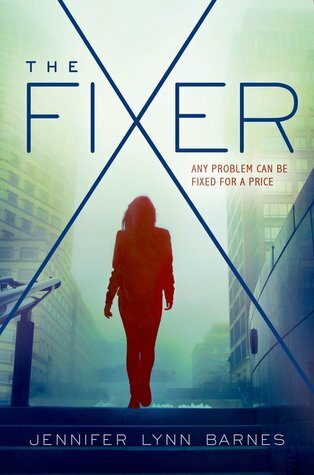 I really enjoyed The Fixer, too. Hope you love them all!